BAE Systems’ director of strategic technology Andy Wright and Professor Sam Turner, the newly appointed CTO at the High Value Manufacturing Catapult, will present two of the conference’s keynote addresses. The full conference programme will be announced at the end of March and visitors can register their interest to receive instant updates. 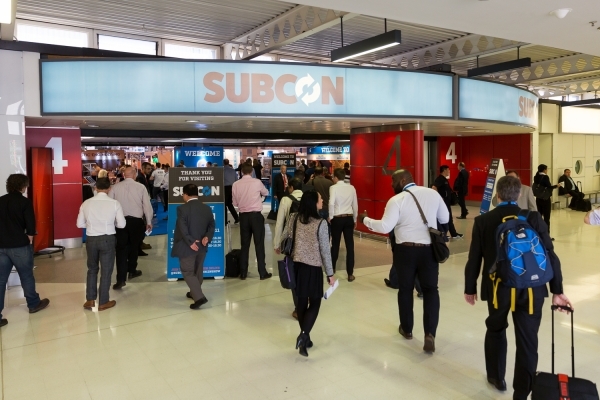 The co-location of Subcon, the Advanced Manufacturing Show and The Engineer Design & Innovation Show will create the engineering and manufacturing event of the year in the UK, providing a one-stop destination for the complete manufacturing cycle from concept to component, bringing together design engineering, product development, in-house production and outsourced supply chains. Over 500 exhibitors will come together with thousands of professional visitors who have current sourcing needs for equipment, software and manufacturing services.